ALMOND, Harry Passed away peacefully on July 2, 2014 at 98 years old. Harry was born in Preston, England where he and his 5 brothers were raised by his widowed mother. Harry met the love of his life, Jacqueline, at the Blackpool dancehall the night before departing with the RAF in WWII. Harry served as a radio/morse code operator on board aircraft based out of Khartoum, Sudan and Cairo, Egypt. 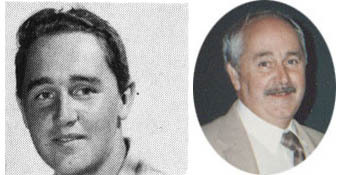 In 1955 Harry immigrated to Kelowna with his family where he taught for many years at KSS. Harry was a voracious reader and a life-long learner who never tired of researching subjects. Harry's passion was the great outdoors, hiking, 'bush whacking', and exploring 'his' valley. In 1996, Harry and his friend, Gord, conquered Mt. Almond. Known for the jaunty, purposeful spring in his step, Harry was a truly gracious gentleman-courteous, debonair, and charming. An adventurer to the end. George loved to laugh, sing, garden, talk politics and sports, and was a ferocious scrabble player. of spirit that endeared him to many. We will miss him tremendously. Terror grips a quiet Point Grey neighbourhood as, without warning, two people are seriously wounded, two others are murdered in their own backyard, multiple houses are riddled with gunfire, and the area is turned into a suburban war zone by a man who will become known as the Point Grey Sniper. At approximately 9pm, Mr. and Mrs. David Webster are shot through the chest, dying instantly, before the Sniper turns his sights on the home of Mrs. Hilda Baxter, firing several shots at her through her living room window, while she sits reading the paper. Baxter, hit in the arm, manages to call the police, but not before the Sniper is able to shoot into a gathering crowd outside. The barrage of gunfire lasts for approximately ten minutes, with residents cowering behind automobiles, and on the floor of their homes, before Vancouver Police arrive on the scene, and arrest a 35-year-old former RCAF Airman named Arthur John Towell, without incident. Towell is talked into surrendering by his parents (with whom he lives), and, when taken away by police, is caught with seven rifles, five handguns, one shotgun, and 2366 rounds of ammunition. He is quickly charged with two counts of capital murder, and two counts of attempted murder. He refuses to speak to police or authorities, and little reason for his rampage is ever uncovered. Dave Webster was our very respected physics and mathematics teacher for our grade 13 classes at the Kelowna High School in 1963 and taught many of us to appreciate both the wonder of physics and the power of calculus. Dave Webster was also our beloved rowing coach at KHS and will be forever missed..
MCKINLEY, John Garfield - passed away on Oct. 22nd, 2009 at the age of 95. 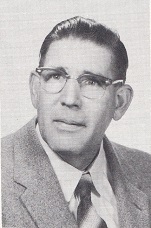 From 1942 to 1974 Gar was an inspirational music teacher to thousands of young people in the Oliver and Kelowna School districts. Math and Physics teacher at KSS and our rowing coach. 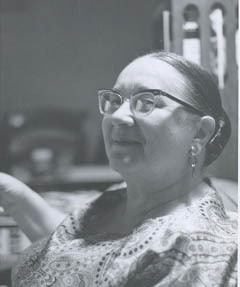 Miss Nancy Gale, born England, deceased Kelowna, BC, Jan 17, 1974 at age 70. 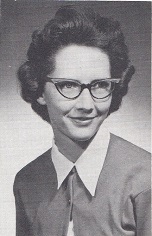 Miss Gale was a teacher at KSS for 37 years, retiring in 1967. See Kelowna Courier newspaper article here..
died Kelowna, 18 June 1966, age 61, skull fracture, gunshot wound. still teaching in Kelowna in 1968, then I lose her. retired in Lantzville, Vancouver Island and died in 2001. 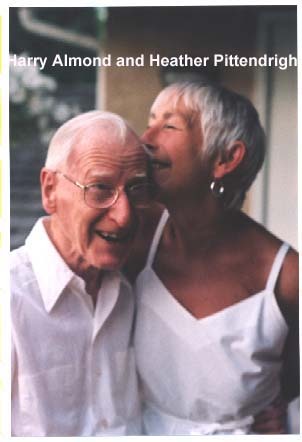 His wife Pearl, (also a school teacher) lived on until 2012 when she passed away. 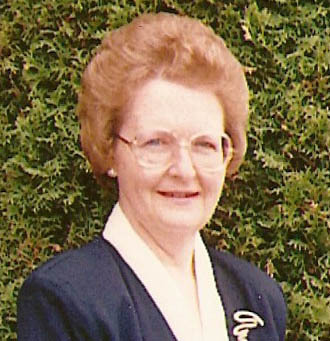 Mrs Mary Deacon, deceased Kelowna, July 27th, 1997 at age 86.
survived by daughters Valerie Deacon and Meaghan Dean. 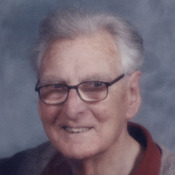 Passed away peacefully in KGH July 23, 2011 with family at his bedside after a brief illness. Mark Rose passed away in Hospice House on Saturday March 8, 2008 -- 3 days after his 84th birthday. 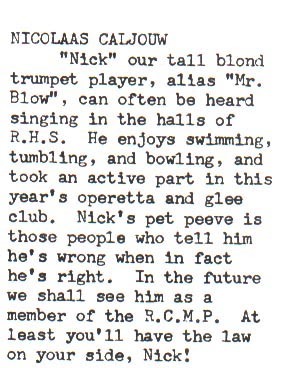 Mark started playing trumpet in the band at Mission, BC. And at age 15 was playing dances in the Fraser Valley. When he left to attend UBC, he joined the Vancouver Musicians Union and played professionally in various groups, while he earned a degree B.Sc. in Agriculture. Later he got a Masters of Education at Western Washington. And taught at Oliver, Kelowna, and University Hill (Vancouver). He was Supervisor of Music in New Westminster from 1958 ?- 1962. Then Prof. of Music Education in the Faculty of Education UBC, becoming Prof. Emeritus. 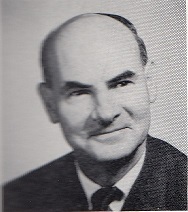 Mark was a Councillor for the District of Coquitlam 1965 - 66. Went on to become an M.P. in Ottawa, acting as NDP Caucus Chair for 8 years. Then became an MLA in Victoria for 13 years, serving as NDP House Leader. 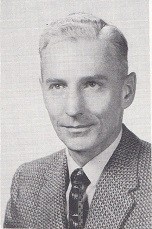 His final career was in London, England as Agent General for British Columbia in the U.K. and Europe. During all his working years he was a member of the Kelowna Kinsmen Club, President of B.C. Music Educators, Director UBC Alumni Assoc., Member Rotary Club London UK, Freeman City of London, UK, Director Assoc. former MPs, and President Assoc. of former MLAs . When Mark retired and came back to Vernon, shortly thereafter he started a Swing Band made up of a variety of musicians keen and appealing, and a gratifying hobby for his retirement. Ive written before about the importance of teachers and mentors in my life from elementary school to high school and beyond. I am fortunate to enjoy continued relations with many of them in my adult life because of my exposure to the public with both my family business and my subsequent consulting business. So I was saddened to read the passing of my first male teacher and the last of my elementary teachers before graduating to junior high in 1963. Ron Haskins was my Grade 6 teacher at Raymer Elementary and it was a novelty back then to have a man heading up the class. We learned about batteries and the principles of wiring in series and parallel; something I still remember as if it were yesterday. 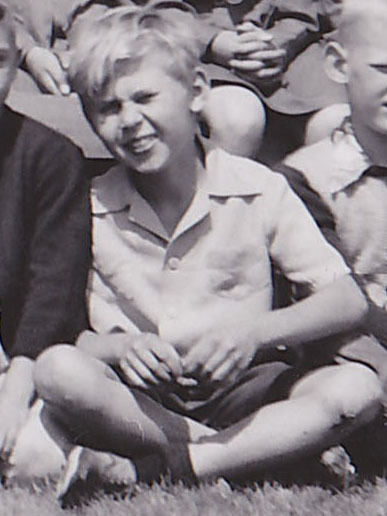 I remember him as well when I was being reprimanded for something, and of course I cant remember what the reason was because I was such a good little boy. I do remember, however, the word attitude was top of mind for a few days and I think I was better for it. Ron, as he insisted I call him when we reconnected in my young adult life, became a friend as has been the case with many of my former teachers. In fact, I was honoured to council him as time went on with all things gardening and he in turn restored a couple of antique wooden carpentry levels for me. I am very sad to think I wont be having Mr. Haskins in my life anymore and Im sure there are many who feel the same. 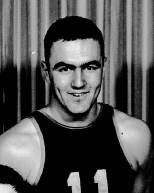 Don Burnett. (a note by Jim Anderson. Some years earlier, Mr. Ron Haskins was also my grade 6 teacher at Kelowna Central Elementary and he instilled a healthy interest in me of the elementary sciences. I was impressed when Mr. Haskins demonstrated how much the physical dimensions of a solid iron ring change when heated. 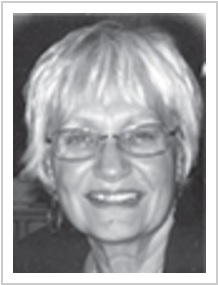 Passed away in Penticton on February 7, 2010 at the age of 67. 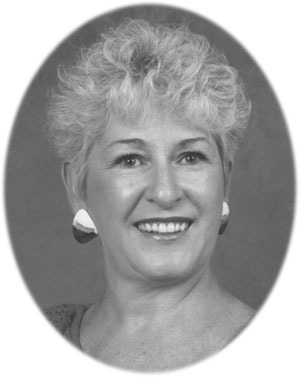 THOMPSON, Ev - Passed away suddenly with her family by her side on Sunday, February 22, 2009 at the age of 65. 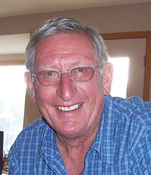 DEGENHARDT, Peter Frans: Peter was born October 31, 1942 and sadly passed away on October 7, 2014 in Vernon, BC at the age of 71 years. He leaves behind, his partner Michelle, her daughter Trina and her children Brock, Braxon, Bella; his brothers John and Bob; Jessica and many friends. A Celebration of Life will be held at the Best Western Hotel, 2402 Hwy 97 North, Kelowna, BC on Saturday, November 8, 2014 from 1-5pm. POSTLE, NEIL- died in his home on Thursday evening, December 10th, 2015 of a heart attack. A celebration of his life will be held in Vernon on Sat, Dec 19, 2015 at the Vernon Christian Fellowship Hall ...4506 29th St in Vernon at 1pm. on July 1st, 2007, as per daughter Tracy Atagi. Joe Stoltz passed away on April 27, 2016 at the age of 71 in his peaceful suite up in the hills of Peachland. He is survived by his son Darren and his family, and his sister Bernice. Joe was predeceased by his mother Anna, his father Peter, his sister Philomena, and his brother Tony. Joe was always ready to make a new friend, and made plenty over the course of his life. Laughter and jokes were common when in his company, and this helped to make him an excellent salesman at many junctures in his life. His one main passion was music, and whether it was playing the drums, as he did so often when he was younger, or listening to music as he grew older, Joe always had an excellent ear for a superb melody and rhythm. Where he is now, the music will never end, and there will never again be another sour note. TARKO, Bernadette Grace March 14, 1944 - April 25, 2013 In memory of a beloved and beautiful mother, wife, grandmother, Bernadette leaves behind husband Maurice Tarko; son Warren (Cheryl) Marshall; daughter Lisa Marshall, grandsons Cody and Jesse Marshall; sisters and brothers, nieces and nephews. BOSCH, Albert C. Born in Burstall, Saskatchewan and passed away on Saturday, October 10, 2009 in Kelowna, BC at the age of 65. He is survived by his loving wife Karen; two daughters: Elenore (Brent) of Kelowna, Kathy (Warren) of Kelowna; son Adrian of South Dakota; two step-sons: Steven Tracy of Kelowna, Michael Tracy (Tawny) of Kelowna; eight grandchildren; three brothers: Don (Val), Roy (Beth) and Paul (Pauline) all of Kelowna; six sisters: Betty Bonogofski of Saskatchewan, Barb Galloway of Vancouver, Eleanor Gatzkie (Alf) of Kelowna, Ann Bohn (Peter) of Kelowna, Angela Scott of Kelowna, and Theresa Roshinsky (Alf) of Kelowna. Predeceased by four sisters: Veronica Stolz, Rosina Ziebart, Jean Wingenbach and Mary Koch; two brothers: Mike and Pius Bosch; three brothers-in-law: Walt Galloway, Ole Bonogofski and John Wingenbach. Heath, Warren, Bruce, Drew and Leigh,4 nephews, a niece and many, many friends. A memorial service will be held at First United Church at 721 Bernard Ave at 2:00 pm on September 24,2016.
buried Kelowna, BC, 1996 Raymond Rose, Passed away in Kelowna on November 28, 2013 at the age of 69. Raymond was known to be a free spirit who had a good sense of humour and a wonderful smile. He found his passion in Karaoke singing and became quite involved in these activities all around Kelowna. Long time Broadcaster Mike Cleaver passed away early this morning (February 10). He was the son of William Cleaver and Eleanor Cleaver (Pethick). He leaves to mourn his devoted partner Terry Low, sister Judy (Jones) and husband Vern Jones of Calgary and brother Chris (Marie-Yvonne) of Kelowna. Mike had been fighting kidney disease for the past few months and it finally claimed his life. I last spoke with Mike this past Friday, and he sounded happy and much like the Mike Cleaver of old. He had nothing but nice things to say about his Doctors and the wonderful support staff at St.Pauls hospital. 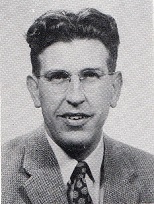 Mike had a long and productive career beginning at Kelownas CKOV in 1961 followed by a stint at Lethbridges CJOC and CJLH-TV. From there it was off to Calgarys CKXL and then on to CHUM in Toronto. Mike left CHUM in 1976 to work at CJCA Edmoton, then back to CHUM until the news department was gutted in the early 90s. On air stints at CFTR and CFRB followed, then back under the CHUM umbrella at CFRA Ottawa. In 2000 it was back to BC where he worked for CJNW, CKNW and CTV before retiring for good. Mike was also an accomplished tech, and a mentor to many over the years. He passed just days ahead of his 73rd birthday on February 19th. There will be no funeral or celebration of life as he requested. He will be cremated. Donations in Mikes memory should be made to the Kidney Foundation of Canada. 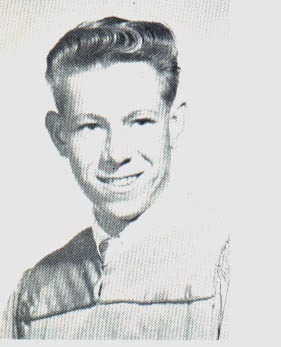 Mike Cleaver (Class of '61) was a fellow member of the KHS Radio Drama Club where we shared duties reading the afternoon school announcements, playing music and on occasion sending World Series Baseball games to select classrooms on the PA. The club, unlike earlier years of radio plays, presented all the school news plus the top tunes of the day on CKOV, 630. Mike eventually took over my part and full-time shifts at the station in 1964 when I departed to Vancouver radio. Mike visited me the following year at CFUN to check out the station control room and facilities. Unfortunately that was the last time our paths crossed until the twenty-first century. Meanwhile Mike was traveling across the country having the time of his life and acquiring many friends in the broadcasting world, especially in Toronto. We finally reconnected through a twice yearly reunion luncheon organized by Red Robinson at White Spot. During those get togethers we had a chance to relive our times together in Kelowna during the golden days of radio. As a team with the Okanagan Holiday Caravan broadcasting live, poolside from the Aquatic, of Mike's father Bill Cleaver, copywriter at OV and the friendship of his siblings, Judy and Chris. We all miss you terribly Mike. You went through some difficult health issues but were a fighter to the time your spirit left us. I know you have joined all of those broadcasting peers who admired you greatly.